They say your time at university are the best years of your life and now’s your chance to relive them! Come along to Woody’s in Parkwood on the Canterbury campus from 18.00 onward on Tuesday 26 March. Free parking after 17.00. Woody’s has been a staple of Kent life since 1994 and even though the building might have changed the atmosphere certainly hasn’t! 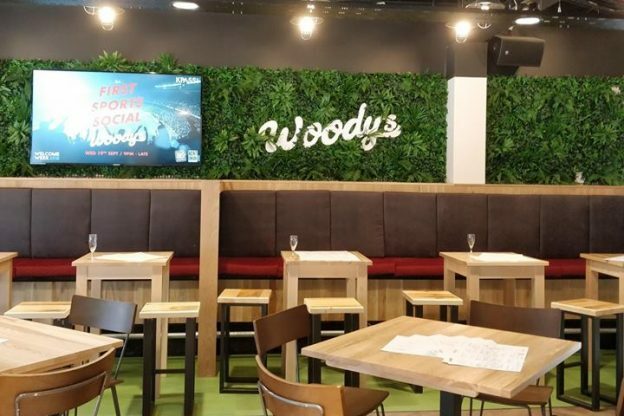 The next Alumni Pub Night will be held at the BRAND NEW Woody’s on campus. In true Woody’s style we will have a fun pub quiz and lots of time to catch up with friends and maybe even make new ones. We can’t promise you’ll win but we can promise a free drink and hot snacks. This entry was posted in Campus online, Events, Medway Student, Student Guide on 22 March 2019 by Tim Davies.